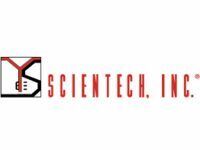 Scientech, LLC, founded in 1983, provides a broad range of products and services to electric utilities and other commercial and government clients. Scientech utilizes experienced people and proprietary technology to meet the outsourcing needs of its changing markets, particularly energy, and state and federal government. Scientech augments its skills and experience with leading-edge software, systems, data, equipment, and instrumentation. Caltius Mezzanine had made a previous investment in Scientech through an earlier fund. Since exiting Caltius Mezzanine’s previous investment in Scientech, the company had divested its telecom, security, and defense businesses in order to focus on its core energy services businesses. In July 2004, Caltius Private Equity, in partnership with the Scientech management team, acquired substantially all of the assets of Scientech, Inc. Caltius Mezzanine provided senior subordinated notes and an equity co-investment to help finance the transaction.